RMS Olympic (sister ship of the RMS Titanic) in dazzle camouflage while in service as a troopship during the Great War. Starting in WWI, Allied ships, and, less frequently, airplanes, canons and tents, were painted in a series of broken stripes and intersecting geometric shapes – not to hide an object, but to confuse, or ‘dazzle’ the eyes of observers. The point was not to conceal a ship, but to make it hard to tell precisely what kind of ship it was, where a ship was, which direction it was going in, and how fast it was travelling. …to make it look as if your stern was where your head ought to be. …not for low visibility, but in such a way as to break up her form and thus confuse a submarine officer as to the course on which she was heading. Most World War I era Dazzle patterns were designed by modern artists, some of whom documented the ships in striking geometric paintings. On seeing a be-Dazzled cannon Pablo Picasso claimed Cubists had ‘invented’ Dazzle, but both influencing the other throughout the war and in the decades that followed (Dazzle was also used on some ships in World War II). Artists pushed themselves to create patterns for ships the further de-constructed the ships shape, and artists looking at Dazzled items attempted to apply the same de-construction to non-military items. 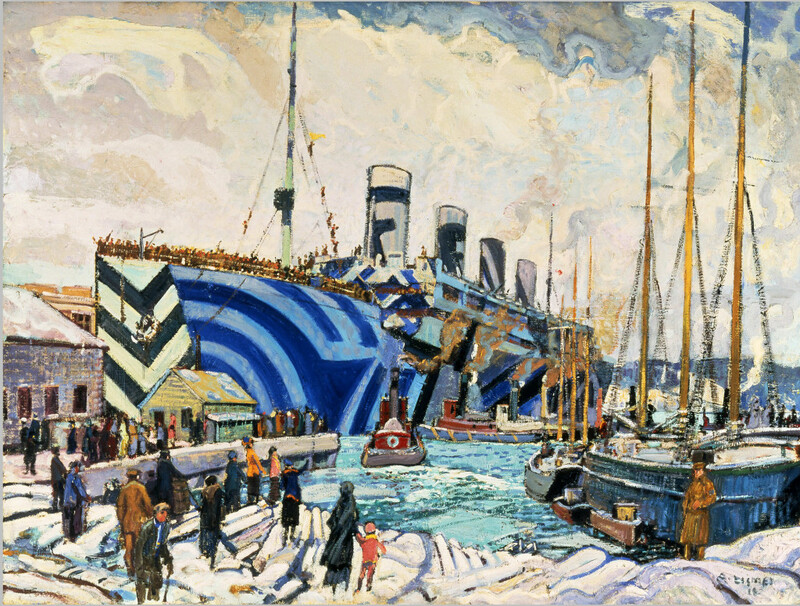 In a world of khaki, rationing (yes, there was rationing during WWI in many countries), and dye shortages, the Dazzle ships, painted in a myriad of bright colours, were a novel and appealing sight. They immediately caught the imagination of the patriotic but novelty and colour-starved public – and fashion designers. 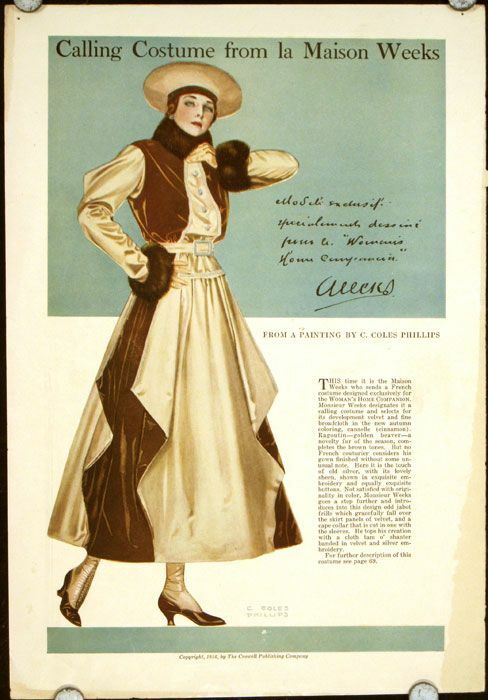 Dazzle’s popularity was immediately reflected in fashion, though more extravagant interpretations had to wait until war was over, and curfews and rationing ended. This appliquéd velvet dress by Natalia Goncharova for Mybor shows a bit of this type of Dazzle inspiration (filtered through Goncharova’s own take on Cubism). No one will notice my bathing suit / after it has made them notice me. Camouflage, according to the general understanding, is intended to conceal, but the young lady who sprung a “camouflage” bathing suit at Coney Island this afternoon—providing that was her intention—failed to accomplish any such purpose. 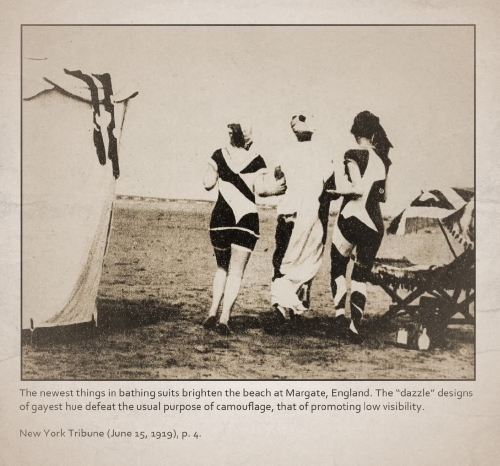 It is doubtful if anything about the suit, or the young lady, escaped the attention of the several thousand persons on the beach. No two could be found who agreed on the details of the costume, but they all agreed beautifully regarding the details of the young lady. The second way in which dazzle influenced fashion was in a fad for bold checks and stripes in the late ‘teens and early ’20s. These appeared mainly in sports and casual wear, often combined in vivid, clashing, improbably colour combinations. 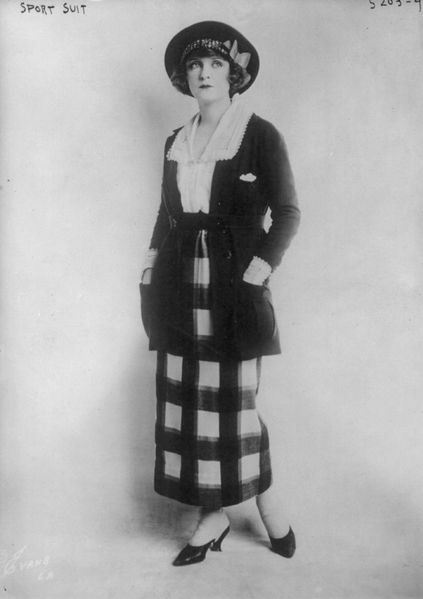 Fashion columns of 1919 describe ‘dazzle’ waistcoats with “loud checks and stripes” often paired with matching stockings. Finally, on a more subdued note, dazzle brought in a trend towards monochromatic black and white garments (which were previously rarely seen except for mourning). Dazzle ships were usually brightly coloured, but the black and white photographs of them shown around the world led people to assume (as some still do) that the patterns were monochrome, not brilliant, contributing to a fad for black and white. 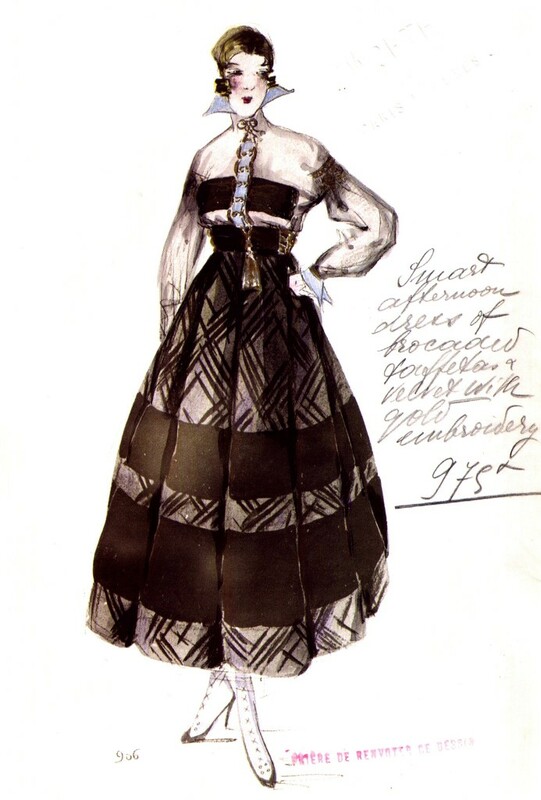 The black and white trend was particularly popular because fabric dyes were also in short supply during WWI. 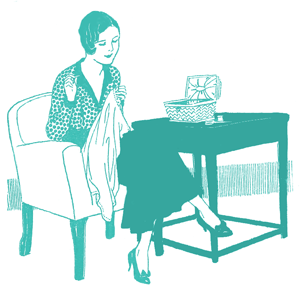 Germany had been the world’s biggest supplier of fabric dye prior to the war, leaving the Allied powers with significant shortages during the war. Britain had also been an important dye manufacturer, but manufacturing priority was given to the war effort, and the chemicals used in dyes were wanted for weapons manufacture. By 1916 dyes were already in short supply, so subdued colours and monochromatic schemes were considered patriotic, and were widely shown in fashion magazines. Dazzle fit in perfectly with this. 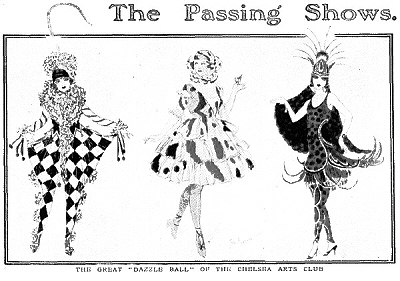 There was one particularly dazzling offshoot of Dazzle: ‘Dazzle’ themed balls, with black and white decorations and geometric fancy dress, were all the rage between 1919 and 1921, the most famous one being the Chelsea Arts Ball in 1919. 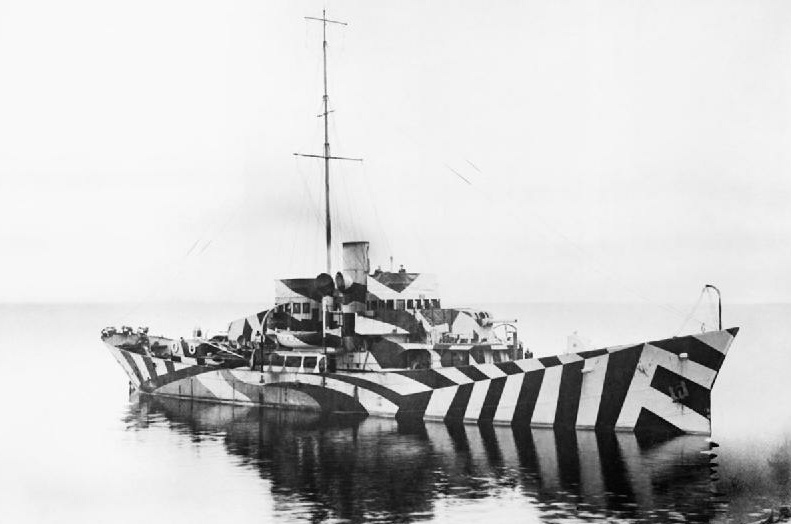 Despite its popularity and its use both in WWI, and WWII, there were no studies done to test whether Dazzle camouflage was actually effective. There was a great array of designs, and the different designs were never tested and analyzed to see which worked best, so we still don’t know if it worked at all for its intended purpose. 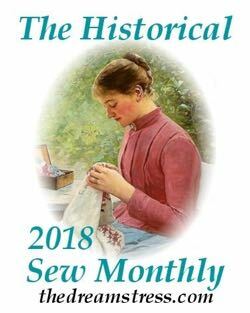 It was definitely quite effective, however, as a method of sparking public interest, and boosting spirits during wartime, as well as a fashion inspiration. 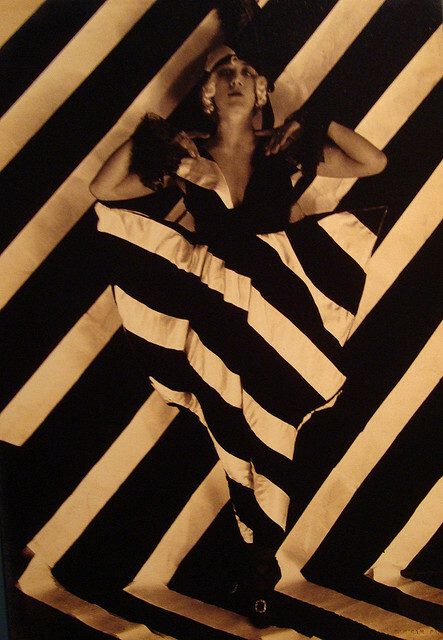 The Dazzle trend died out fairly soon after the war, but reappeared under the name of Jazz Stripes, or Jazz colours. Thank you so much for this post! I had read a bunch about this type of camouflage but never seen many pictures and I’d never dreamed about the connection with fashion. So fascinating to learn about! Couldn’t agree more. Such a pleasure to learn so much. Thank you. “liberal display of shoulders” <– -hahah I love that! Thanks for the super informative post! Love reading about this kind of stuff. Those ships look amazing! Excellent post. Thank you. It’s was a pleasure to learn so much. 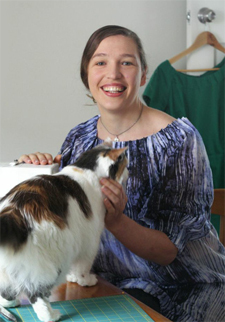 Leimomi, this is a fascinating article. I’ve never heard of Dazzling. You’re always so informative. Neat post! Great idea for fashion, too–not so much for military uses, I fear. It’s too bad no one ever tried to test the effectiveness of Dazzle camoflage for military purposes. This article has some further ship pictures showing the bright colours. Fantastic! You are so so knowledgable. I love reading your posts. “Sportswear” is such a confusing term – I really wish I knew why they chose to call separates/smart, relaxed dressing “sportswear” especially as it’s clearly not for wearing for most sports! Daniel, that clothing was marketed to be worn *to* sporting events, not *in* them. Racing, in several forms, was a regular fashion show – reference the hats of Derby Day, how the King put the crease in trousers, and, if you can find pictures, “dazzling” suits based on car-racing flags that used to be de rigeur at Indianapolis and Grands Prix. Nordstrom’s Indianapolis produced a new showy and expensive ladies blouse for the 500 each year — not to mention years of “sports-car” Hermes scarves. Before numbered jerseys, spectating was haute couture. “Sport” is a funny word, though: it meant “display” before it meant “play.” A student who closed his door to study was said to be “sporting the oak,” and at one time brothels were “sporting houses.” Maybe it’s really “sport wear” or “sporting wear,” not sportswear. 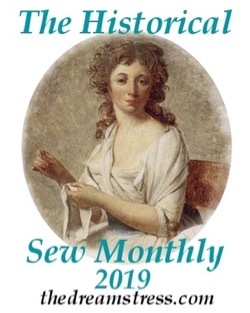 Yep, I got the spectator sports/spectating connection, but it’s interesting to see how the two terms continue even today – creating massive confusion and even arguments. There’s also American sportswear, which is deliberately functional/practical, even when it’s NOT exactly practical/functional, in an easy-to-wear sense. One of those things that really confuses anyone who doesn’t fully understand the terminology…. Really interesting comments there on display, though! Semantics are fun. Wow, I would never have even have been able to guess about these connections. This is one of my favorite of all of your terminology posts! This is really interesting! I can’t believe I’ve never heard of it before. statemuseum.arizona.edustatemuseum.arizona.eduDo you know about “Eye Dazzler” Navajo weaving? Very similar. As always, your terminology posts are super swell! A jolly good post. Thank you very much. I’ve heard of it before when you mentioned it briefly on Facebook… and waited patiently to see what it was about. Thank you so much for sharing! It’s fascinating, especially the differences between it and camouflage – and how it works yet completely differently when applied to clothing! Fascinating! 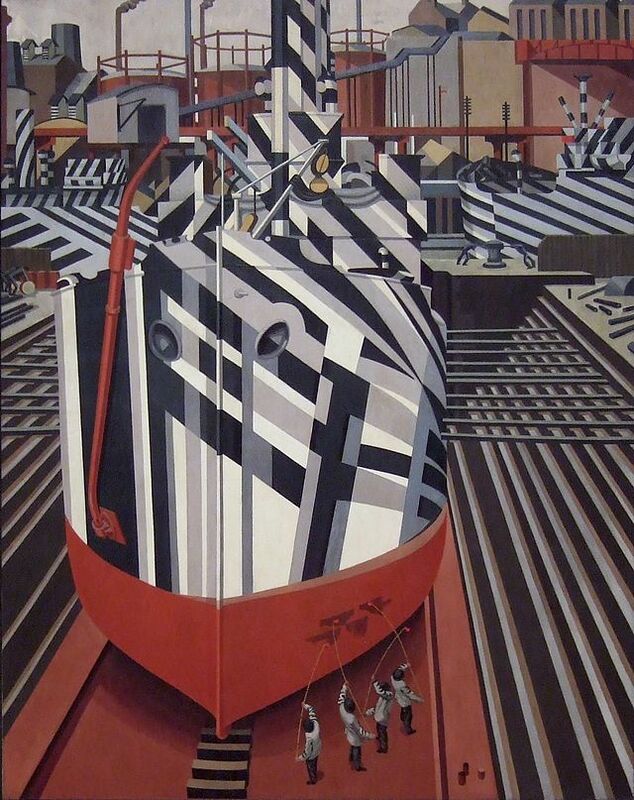 I knew about the dazzle camouflage (though like most I thought it was black & white) but I had no idea it had influenced art & fashion to such an extent – or, indeed, at all. egmcartech.comegmcartech.comCar manufacturers still use this technique to camouflage and confuse cameras and observers on the bodies of new car models when testing them on publicly accessible tracks. 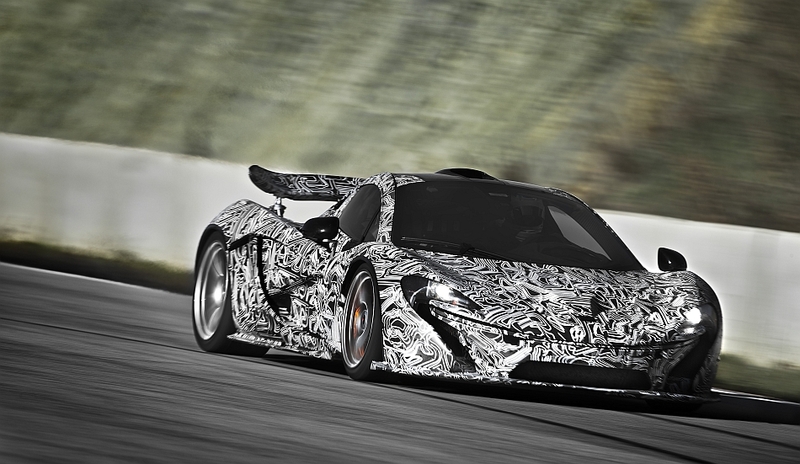 Here’s an example: http://www.egmcartech.com/wp-content/uploads/2013/02/McLaren-P1-Camo-Shots-Front-Track-Testing.jpg So the dazzling lives on! shipspotting.comThank you for the article! 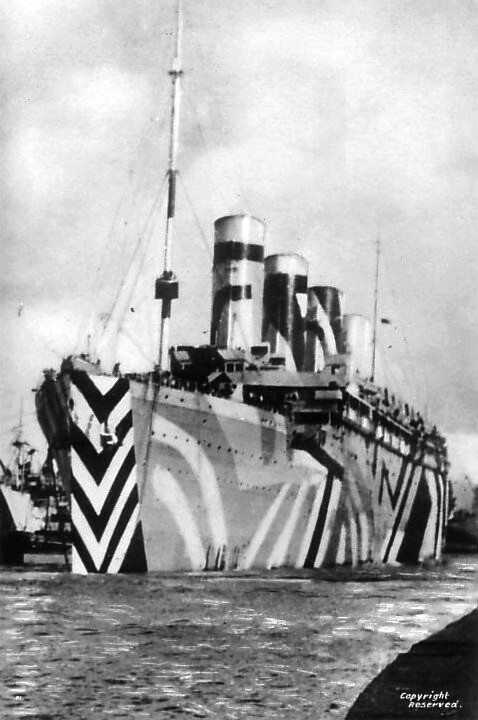 I´ve never heard about dazzle camouflage before and I loved it. And then just a few weeks later, I met a real modern dazzle ship!! !